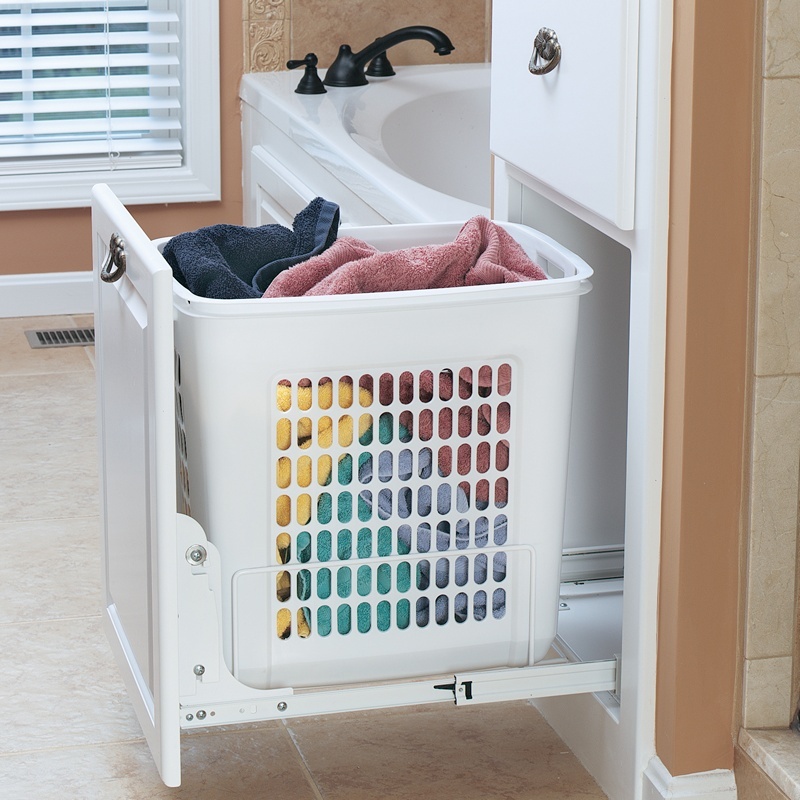 Keep dirty clothes from piling on the floor with Rev-A-Shelf's large Pullout Polymer Hamper. The HPRV Series features a shallow 14" depth for closet applications, full-extension ball bearing slides, 1.7 Bushels Capacity and installs with just four screws. 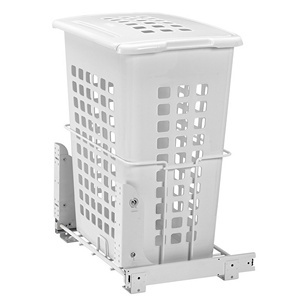 This polymer hamper is available with a removable lid and with or without Rev-A-Shelf's classic door mount bracket kit. 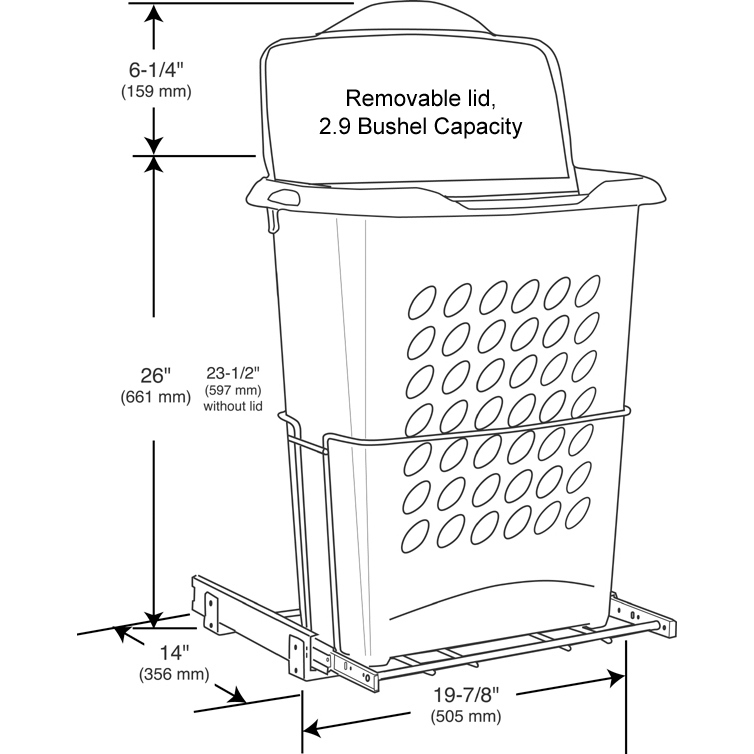 Overall height with lid open is 35-1/4"